You might be noticing some fine lines near your eye area, or you might be you are trying your best to get rid of those wrinkles for a long period of time. There are plenty of ways you can reduce wrinkles on your face. 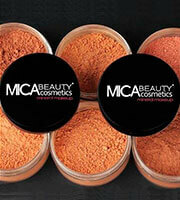 Here are some tips from Mica Beauty skin specialists. Studies have shown that our source of light, the sun is the main cause of wrinkles. Wear sunscreen with a broad-spectrum (UVA and UVB) with at least of SPF 30. Even on days that are not sunny, it is recommended to wear your sunscreen too. Wearing sunscreen not only will prevent wrinkles, but also reduce the risk of having skin cancer. Reapply sunscreen frequently, at least every 2 to 3 hours. In addition, apply your sunscreen 20 minutes before you are expose to the sun, so the sunscreen has time to be absorb into the skin and do its work. Don’t over-wash your face. It is recommended by the doctors to wash your face at most twice a day. Over-washing your face can strip off the natural oils and moisture of your skin, which can cause new formation of wrinkles or make the wrinkles even deeper. Use anti-ageing products. Most anti-ageing moisturisers are created to target wrinkles and prevent them from developing. Mica Beauty's Pearl Anti Wrinkle Moisturiser works at its best and is loved by many! Apply the moisturiser twice a day. Use anti-ageing eye cream will also be beneficial to reduce fine lines and wrinkles. The skin around the eye is thinner and delicate from your face, which is the first area of forming fine lines and wrinkles. Using anti-ageing eye cream or eye serum such as Pearl Anti Wrinkle Eye Serum will boost extra moisture that is needed to reduce the visibility of fine lines and wrinkles. We are not saying that you won’t be getting any wrinkles and fine line when using anti-ageing products nonetheless it will help to prolong the progress of wrinkles and fine lines. Furthermore, the way you treat your body also affects the formation of fine lines and wrinkles. Don’t smoke and avoid excess drinking. Drink enough water. When your body is dehydrated, the wrinkles can appear deeper and form new ones too. Eat healthy such as add more anti-inflammatory and antioxidants food into your diet. Avoid processed foods and added sugar. Antioxidant are food that contain vitamin A, B, C, E and K are essential to healthy, youthful skin and prevent fine lines and wrinkles, eat lots of vegetables and fruits. Get enough sleep, an average adult need 7 to 9 hours of sleep in order for the body to be fully rested and the skin can be repaired and renewed through the night.